The price is 46500 Euro. The details on engine output, gearbox and emission class are as follows: Euro 5, diesel, engine cylinders: 6, 480 hp, differential lock, gearbox: automatic, engine brake. Wheel formula and suspension type: suspension: spring, 8x4, number of axles: 4, ABS, ESP - electronic stability control. Cab comforts include power windows, electric mirrors, central lock, air conditioner, cruise control, power steering, driver pneumatic seat, passanger pneumatic seat, seat belts, CD. 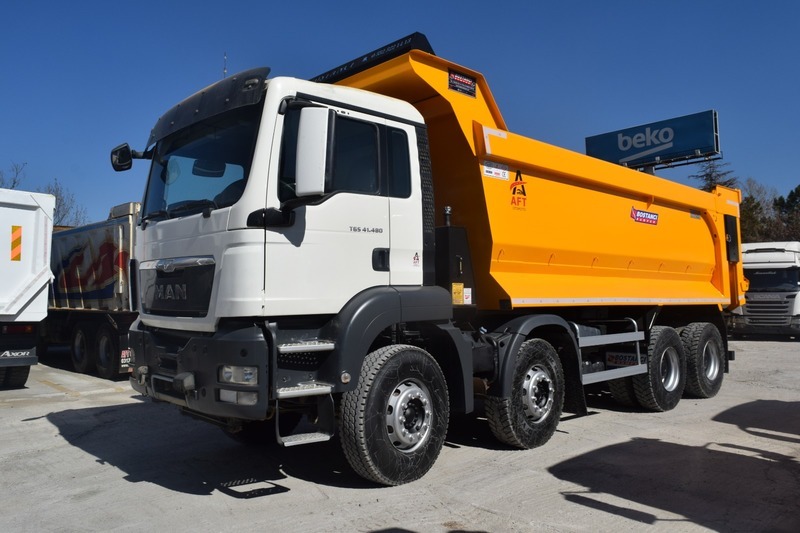 Bodywork: body material: Hardox steel, loading volume: 24.00 m³, rear tipper. The parking site is in Eyüp Sultan Mahallesi, Mehmet Akif Caddesi Yadigar Sokak Oto Galericiler Sitesi No:24 D:C Blok, 34852 Sancaktepe/İstanbul, Turkey.